Argyle and stripe boys socks! A great dress sock but also a great everyday sock! 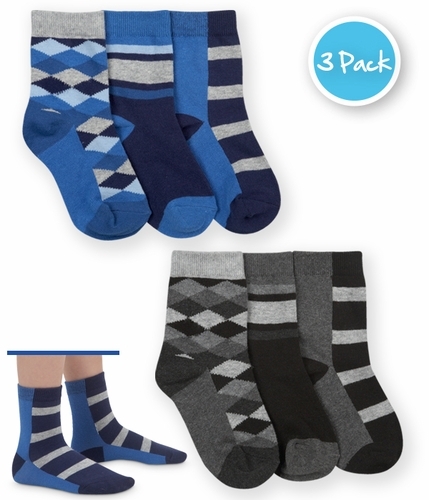 In this three pair pack, you get one pair of argyle socks and two pairs of stripe socks.